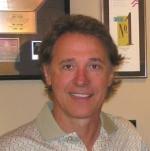 Nashville music maker Keith Follese is one of the most creative songwriting forces in country music today. His unbending momentum and songwriting talent has rewarded him with many top songwriting honors. Keith has co-written hits for genre-crossing superstars like Faith Hill ("The Way You Love Me"), Tim McGraw ("Something Like That"), Martina McBride ("I Love You"), Randy Travis and Little Texas. His ability to successfully stretch between music styles has given him a leading edge in today's evolving music industry. Growing up in the music-rich scene of Minneapolis, Minnesota, Follese learned about Mid-western work ethic from his hard-working parents, which he credits as the main source of his success. He started out singing and playing in local bands and later signed a record deal with A&M Records, an event that lead him to the bustling city of Los Angeles. Unfortunately, Keith's career came to a halt after his album's release was delayed two years after the recording was completed. This setback was hard to recover from, as music changes quickly from year to year, and Keith's songs became outdated before they could hit store shelves. After 11 years in Los Angeles, Follese and his wife became parents, and began looking for a place to raise their family. They soon moved to Nashville, hoping for a spark that would re-ignite Keith's career. They found what they were looking for and this music mecca helped Keith hone his skills as a lyricist. Follese never considered himself a country songwriter because he loves all kinds of music. When he writes, he grasps the freedom of expression, without limiting himself to writing one type of music. In his mind, confining oneself to a single style is the worst thing an artist could do and this openness has helped him create a unique lyrical and melodic balance in his work. Keith has completed over 200 cuts with major recording artists. He was named both ASCAP and BILLBOARD magazine's SONGWRITER OF THE YEAR in 2002. Artists he has recently worked with include Canadian pop artist Tal Bachman, Brian Littrell of the Backstreet Boys, Jo Dee Messina, Wynonna, and (R&B writer/producer) Shep Crawford. He is currently the CEO of Midas Music, and is the lead writer for the production team THE CENTER. He continues to write with top producers and artists, producing crowd-pleasing hits that travel the world over.